Mr. Jones is Executive Vice President of Carpenter & Company and a Managing Member of the General Partner for the Carpenter Community BancFund. Mr. Jones joined Carpenter & Company in 1992. Mr. Jones, along with Mr. Gould, has direct oversight of the Fund’s portfolio management function. In that capacity, he manages the Firm’s staff of portfolio analysts and banking specialists and their work supervising and supporting the BancFund’s portfolio banks. In his role managing the day-to-day activities of the Firm’s consulting practice, Mr. Jones functions as the senior liaison to bankers, regulators, and other professionals in the process of creating new banks and other regulatory matters. He has overseen the opening of over 70 new banks since 1997 and has been involved in 25 capital placement assignments. From 1992 to 1996, Mr. Jones oversaw Carpenter & Company’s real estate asset management operations. In that capacity, he completed the collection and restructuring of over $3 billion in non-performing loans and real estate as a third party manager for the RTC and the FDIC and as a joint venture partner with the FDIC. These contracts necessitated the management of multiple offices located in California, Arizona, Texas and Colorado. 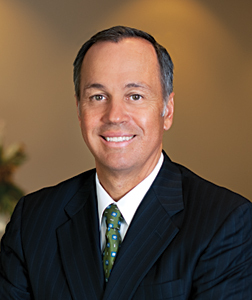 Since 2009, Mr. Jones has held several bank and bank holding company board positions and has chaired or been a member of a number of board committees including , Credit Policy, Asset-Liability Management, Compensation, and Enterprise Risk. In 2009 he was appointed Chairman of the Board of California General Bank, N.A. and its successor Professional Business Bank until its merger with Manhattan Bancorp in 2011. Mr. Jones remained on the board of Manhattan Bancorp and its subsidiary the Bank of Manhattan through its merger with Plaza Bancorp in 2015. Mr. Jones had joined the board of directors of Plaza Bancorp and Plaza Bank when the BancFund made its initial investment in 2009 and remained a director through its sale to Pacific Premier Bancorp in 2017. Mr. Jones is a graduate of the University of Southern California’s School of Business Administration and holds General Securities Principal and Representative licenses. © Copyright 2019 Carpenter & Company | Website design by iCandy Graphics & Web Design in Madison, WI.